Ashoka: How would you describe your activity to a 6-year-old child? 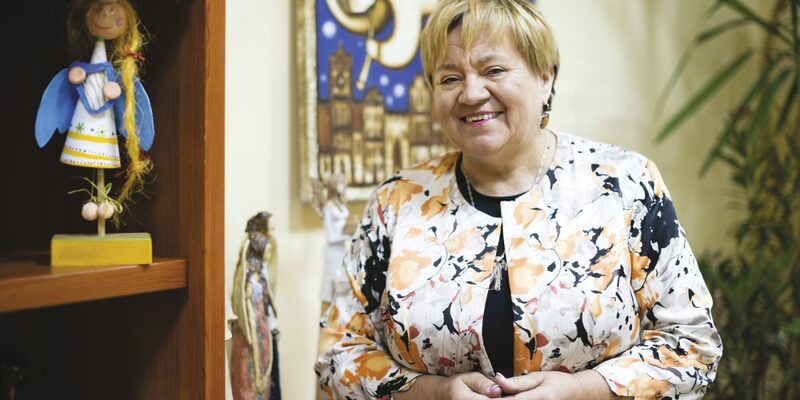 Nina Mirończuk: We take care of people after accidents, who are gravely ill, in coma. Some of them we manage to wake up, for the rest we organize the new life with [their] family. For them not to be sad, for them to be capable of communicating with their loved ones in another way than normally. A: What quote sustains you? A: Whom you would like to be if you weren’t the person you are? N.M.: A teacher. It always fascinated me. The work with youth. A: What is your favorite literature character? N.M. : Doctor Judym from “Homeless People” by Stefan Żeromski, because he went off to everything. Once one journalist showed me, that I was creating different new things all my life long too. Public institutions and activity, that haven’t existed before. I am into this. But also Kubuś Puchatek, with his little brain, who loves all the people and animals. Kind and tolerant. A: What superpower you would like to have? N.M. : The same as in “Sphere” movie. The superpower of making dreams come true- if only we grew up to this as people and managed to use it for making good. It would be wonderful.